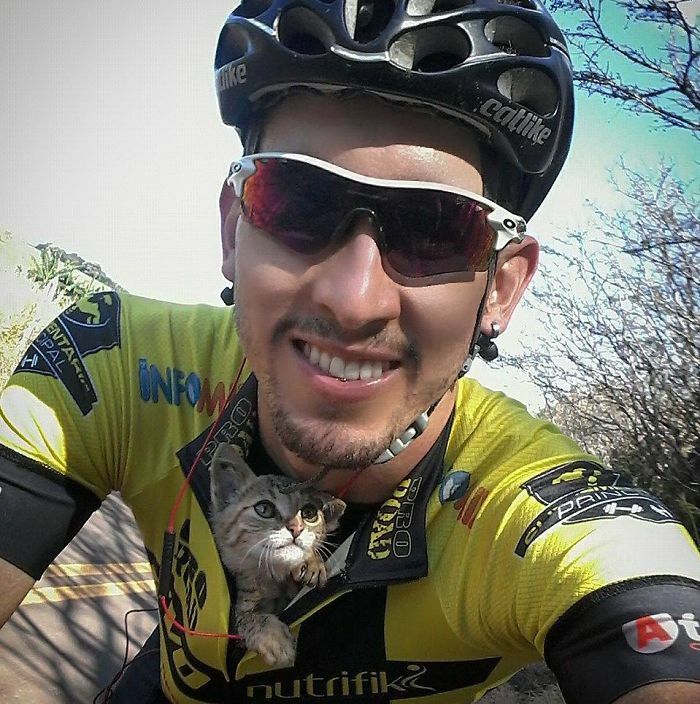 Did you saw the awesome story about the Brazilian cyclist Viitor Fonseca who was on a routine ride when he suddenly saw a tiny kitten in desperate need of help. The kitten was obviously left alone and looked like a newborn and Fonseca knew that the little fellow won’t be able to survive if left alone. 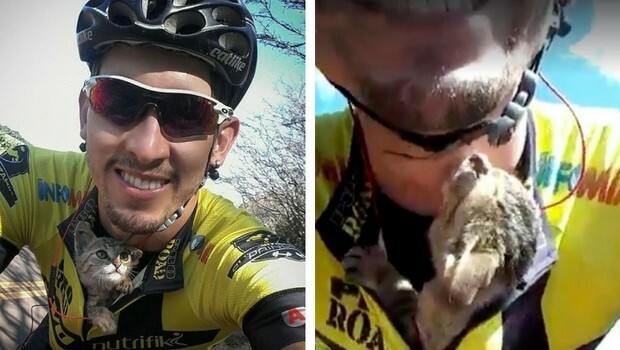 In a heartwarming decision Viitor decided to take action and take the little kitten with him and try to help, but being on a bike, he had no where do put him, so he did an awesome thing and placed him tucked in his shirt. The kitten, as you can see from the photos below didn’t mind this creative solution at all, he even looks a little bit happy with the new friend he made. Viitor wrote on his Facebook wall this simple message ” Saving a little life today, I’m glad that he liked me and was not clawing me. All he did was play. ” You can see this whole event in the video below that quickly became viral where the kitten can’t stop kissing his hero.